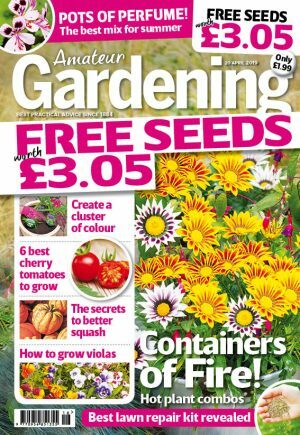 Get gardening this May bank holiday weekend! 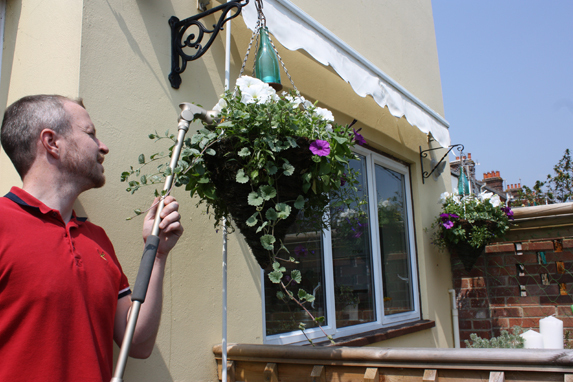 The bank holiday's in May are a great time to get out into your garden and get your hanging baskets ready. The weather in May can be a mixed bag, anything for gloriously hot to cold and wet.. But then that could describe any month in summer here in the UK.. If it is a warm bank holiday weekend , any summer baskets planted up in the cover of the greenhouse now need to be moved to their final hanging positions, ours are around the patio area. Planting them up early, and keeping them in the protection of the greenhouse has really paid off. Already they are well on their way to maturity for an instant display of colour in the garden this weekend. Petunia are already in full flower, flowers are starting to appear on the lobelia, and the fuchsias are budding up nicely – we expect to see their first flowers some time next week. Hopefully you’ve all been storing as much rain water as you can to beat any hosepipe bans this summer. If the weather is hot, your baskets can dry out within 24 hours, so plenty of water will be needed through the summer if it is a hot one. If you are still to plant your baskets and containers, you can reduce their watering needs by opting for specialist moisture control composts from the likes of Miracle Gro, and also add water retaining crystals such as SwelGel to compost mixes. A handful of granular slow release fertiliser will also benefit your plants greatly. Aim to water your baskets at least once a day through summer, either early morning or late evening, perhaps both in hot spells. Remove spent flowers regularly to promote fresh growth, and keep a few spare plants to hand in case of any plant losses in the basket through the season.